Cahors native Julien Ilbert was born into a life amongst grape vines, as they had been in Julien's family for generations by the time he joined the family operation in 1998. But at that time, as is typical on a traditional family farm in the French countryside, the property was one of polyculture, with grapes being only one component among many, including cereal grains and cows in the case of the Ilberts. In their home village of Cournou, a few kilometers west of the village of Cahors within the Cahors wine appellation, Julien's father Jean-Pierre worked the vines alone and sold off the fruit to the local co-op. Between 1998 and 2005, Julien stopped selling fruit to the co-op, eventually re-launching the family estate as Château Combel La Serre and beginning the production of their own wines in 2005. The property now stands at 22 hectares, planted virtually entirely to Malbec, otherwise known locally as Auxerrois, scattered about within a few kilometers of home and cellar. Notably, all of the vineyards lie on a causse, a limestone plateau of 320-350 meters in elevation, above the alluvial, gravelly plain along the Lot river. The resulting nuances of altitude, aspect, temperature and soil are a thing apart from the larger, flatter, lower-lying, warmer rest of Cahors. Cahors is a region of extremes: hot summers with wet, sometimes very cold winters and historically dense, tannic red wines. Their old nickname of "black wines" is indicative of their perceived and often real character; they are traditionally a Malbec-based blend with a significant proportion of even-chewier Tannat and other grapes like Negrette and Merlot. Julien and his wife and business partner Sophie set out to modernize this image of an old-school wine, which they were positioned to do, given the terroir of their vines, their choice to make 100%-Malbec reds, their building of a new cellar and the commitment to grow and make wine as naturally as possible. Combel La Serre has been ECOCERT-certified organic since 2013, though farmed without chemicals for several decades up to that point--the family long suspected that the death of Julien's grandfather from severe Parkinson's disease was directly tied to a lifetime of exposure to the conventional chemicals so commonly by French farmers in the mid-20th century--so they set about eliminating them long ago. The vines range in age from 20-90 years old, are worked entirely by hand and harvested manually. As with Combel's winegrowing, their winemaking choices are atypical of Cahors: their wines are fermented with indigenous yeasts, made with only moderate extraction, touched barely by sulfur and raised mainly in cement tanks and used barrels. Luckily, Importer Jules Dressner's expectation on Louis/Dressner's first prospecting visit turned out to be completely off the mark: "Cahors. We'll be the first to admit the region doesn't exactly scream 'exciting natural wine'. For most, Cahors equals rustic, tannic and structured offerings meant to cellar and age for decades. 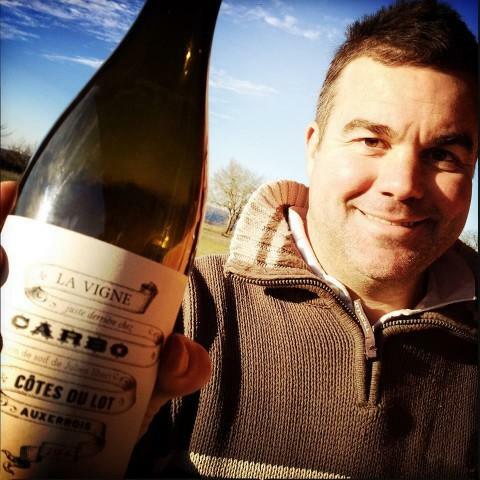 So when we got an email from a friend of Matthieu Baudry asking us if we'd be interested in his wines, we were expecting either hipster carbonic glou-glou or super structured, dark-as-night teeth-stainers." To their surprise and pleasure and our good fortune, they discovered wines incorporating the best of the region--the top-quality black grape, a special limestone-rich terroir and a storied winemaking tradition--into a more balanced, updated but still pure expression of Cahors.